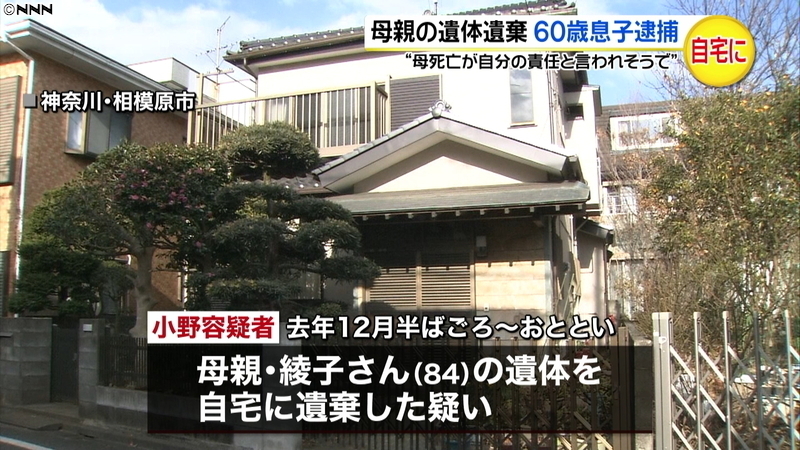 Kanagawa: Man, 60, lived with corpse of mother since Dec.
KANAGAWA (TR) – Kanagawa Prefectural Police have arrested a 60-year-old man after the discovery of the corpse likely belonging to his mother in their residence in Sagamihara City, reports the Sankei Shimbun (Jan. 24). On January 23, officers working off a tip entered the residence of Iichiro Ono, located in Minami Ward, and found the corpse of his mother, 84-year-old Ayako, atop a futon on a first-floor room. On the following day, police arrested Ono on suspicion of abandoning a corpse. During questioning, the suspect said his mother died in the middle of December. 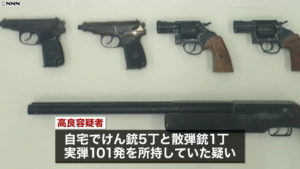 “I didn’t report [her death],” the suspect was quoted by the Sagamihara-Minami Police Station. Officers entered the residence after a neighbor, of roughly the same age as Ayako, consulted with a police box, saying they had not seen her over an extended period.